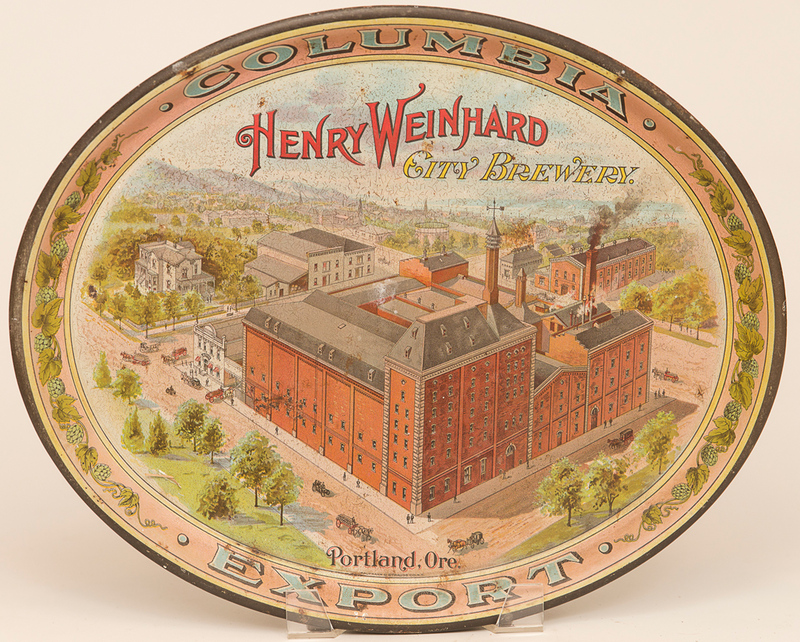 Pre-Pro oval tin litho advertising tray for Henry Weinhard Brewery of Portland, OR. 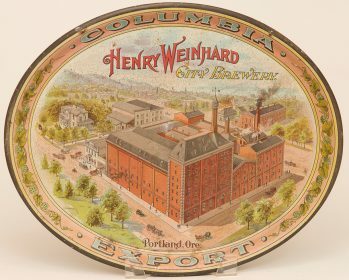 Featuring image of the company's brewery. Tray is in nice condition with small area of discoloration around "EXPORT" at bottom of tray.